To make the tarragon dressing, place the vinegar, extra virgin olive oil and sugar in a small bowl and stir until sugar is dissolved. Add the tarragon and stir to combine. Set aside. Place the beets, vinegar, sugar and water in a saucepan over high heat and bring to the boil. Cook for 20–25 minutes or until the beets are tender. Drain the beetroot and set aside to cool. Peel and thinly slice the beetroot using a mandolin slicer. Heat the oil in a large non-stick frying pan over medium heat. Add feta and cook for 1–2 minutes or until golden and crisp. Drain on absorbent paper. 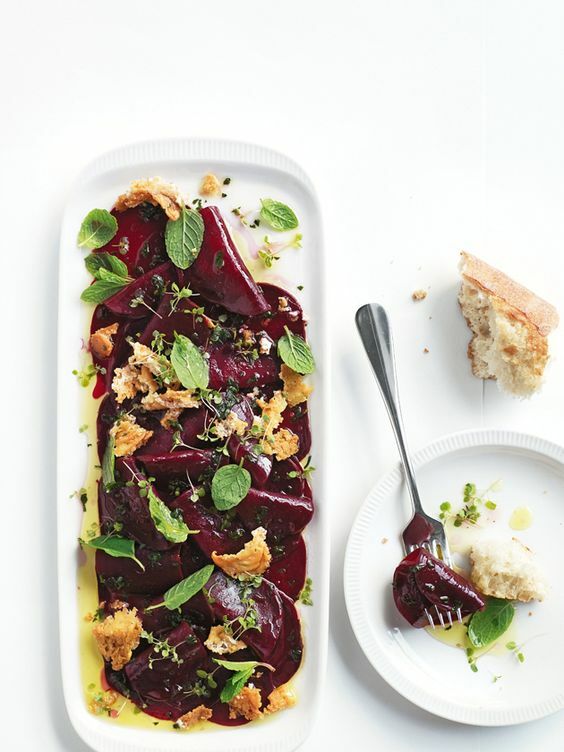 Layer the beetroot on plates and top with the feta and mint. Top with the tarragon dressing to serve.